Every social photographer wants to maximize the client spend for each hard won job, and presenting your images in such a way that you deliver the necessary 'wow factor' can certainly help with that. For, if you've never really considered how great the potential margins are with large format prints, perhaps now is the time to take a look at the inherent potential. Put simply, a print that costs you pounds to produce can sell to your customers for a few hundred. It's no wonder then that many photographers have already invested in large format printer bundles, such as those supplied by Fuji lm that marry an Epson Stylus Pro large format printer and high quality Fuji lm Photographic Artwork papers, with the brand's inkjet media range o ering cut sheet and roll media. 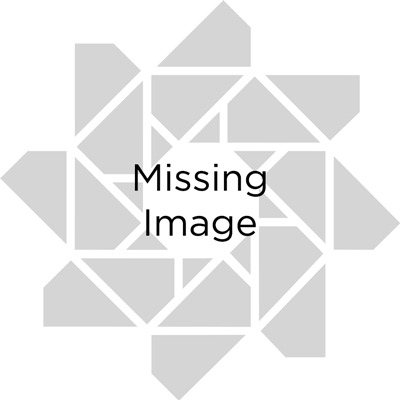 Alternatively, and luckily for those photographers who might not want the expense of investing in a large format printer, nor have the studio space to house one, there are plenty of providers of large format printing, either online (such as proamimaging.com via its ProPhotoPrints off-shoot) or at a local level. 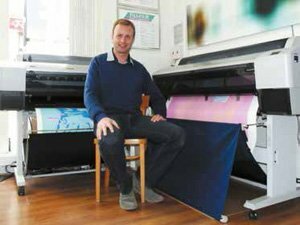 For example, Fuji lm Digital Imaging Service (FDIS) member Allan Taylor, owner of Westcli Photographic Solutions in Westcli -on-Sea, Essex, has turned his business around on the back of an upsurge of interest in large format printing. He now handles print ful llment for around 50 art galleries. "In this industry photographers are always trying to nd out what the next big thing is," says Allan. "The quality from Fuji is just phenomenal. I'm printing the work of three di erent artists on Fuji lm FineArt Etch paper." With Allan charging his photographer customers just £25 for a 24x32 inch print, we're talking a very, very good margin when you come to sell that same large format image onto your own clients. Should you wish to personally invest in one of Fuji lm's printer and media bundles - perhaps if you regularly print large format works, or are intending to do so - the cost for a print of a similar size drops right down to a few pounds. When galleries are charging several hundred pounds for photographs printed that large, the potential to boost your own photographic business' pro ts and weather any nancial storms is huge. "Once the prints are framed the gallery is then selling them on for over £300 each in limited runs of 100 or 250," Allan Taylor continues. "It's really transformed my business. Prior to having a discussion with Fuji lm Professional's Marketing Manager Peter Wigington, I hadn't really considered how well large format printing could work for me. I knew what I was charging, but hadn't realized how much of that was pure pro t. And the artists I print for are also making a lot of money, so everyone is happy." 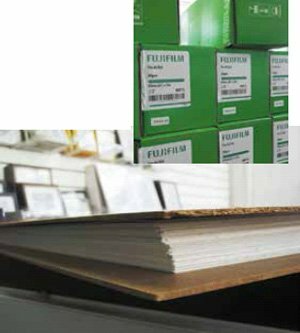 To go into more detail, 300gsm Fuji lm Fine Art Etch paper is available in 24-inch (610mm) x 12 metres, 36-inch (915mm) x 12 metres, or 44-inch (1118mm) x 12 metres roll sizes. Needless to say it's ideal for high quality digital fine art reproductions, being a traditional ne art paper with a special ink receptive matt coating that is rapid dry. It's compatible with Epson, Canon, HP and most other photo capable large format and desktop printers. To see the entirety of what's available via Fuji lm's large format range simply direct your browser at: www.fuji lm.eu/uk/products/photo nishing/large-format-printing/inkjet-media-overview/Fuji lm Digital Imaging Service (FDIS) member Allan Taylor, recommends interested photographers sourcing 44-inch and 24-inch large format Epson printers - the 7880 and 9880 - via Fuji lm, or of course seeking out your local FDIS specialist for print ful llment. The manufacturer says that 90% of its FDIS members now have 24-inch wide format printers. Allan adds that he has these machines getting through up to four rolls of paper per day, and running non-stop without any major issues. With Fuji lm, photographers can also be con dent of always having professional back up to call on if they ever need it. "Our Photographic Artwork Range of ne art paper is the perfect media for any photographer thinking about adding large format prints to their client o erings," enthuses Fuji lm's Marketing Manager Peter Wigington. "Social photographers who shoot Friday to Sunday and occasionally find themselves with down time during the week can quite easily turn those otherwise wasted hours into pro t generating ones by adding this additional string to their bow. 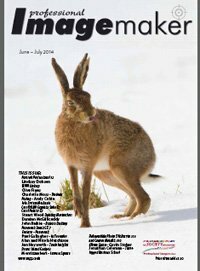 And, apart from producing works of ne art, or huge portraits with real visual impact - something that often gets lost in the digital age and which an image on an iPad can never compare to - there are so many commercial opportunities in every town or city for any photographers looking to expand their business. So why not generate additional spend from installing a large format printer in your own studio." So don't miss out on the potential to generate big pro ts from large format prints with Fuji lm. Put simply, for photographers of all disciplines, it's time to 'think big'!